Do you suffer with chronic G.I. symptoms: bloating, reflux, gas, abdominal pain, diarrhea and/or constipation? Yet, your exams and conventional lab tests keep coming back normal. Worse yet, you have chronic pain with physical and mental fatigue. Possibly you have mood issues and brain fog, and you’re noticing other multiple health issues - especially digestive problems. Perhaps you have been given the worthless diagnosis of IBS or fibromyalgia and then handed a prescription for Cymbalta or a Lyrica. Think about it. The diagnosis of IBS is meaningless - it is just what you told the doctor - “my gut feels irritable, I have loose stools, pain and bloating!” Or, when your doctor tells you have fibromyalgia he or she is just telling you in Latin what you told them in English: Fibro for tissues, mya for muscles and -algia for hurt all over. A diagnosis of IBS and/or fibromyalgia brings you no closer to finding out the underlying causes and correction of your health problems. Whatever you call it there are no drugs that can heal these disabling disorders. You must get to the underlying cause and correct it with proper dietary and nutritional intervention. These symptoms are all connected because the body is all connected. These syndromes are usually related to chronic systemic inflammation. Your G.I. tract plays a major role in this body-wide inflammation, because 70% of your immune system resides within your gastrointestinal tract lining. Research is now showing that an imbalance or overgrowth of small intestine bacteria, called SIBO, is a major contributing factor to chronic systemic inflammation and “feeling like crap” or FLC syndrome. SIBO is best understood as ‘an overgrowth of generally non-infectious GI microorganisms in the small intestine, adversely affecting the human host’. This overgrowth of bacteria and/or yeast can ferment the carbs and sugars in your food creating hydrogen or methane gases. As I tell my patients, they dine on your dinner! There are some telltale signs of SIBO: gas, bloating, reflux, abdominal pain or cramping, diarrhea or/and or constipation. The condition of SIBO is therefore often misdiagnosed as GERD and IBS (irritable bowel syndrome). SIBO has also been associated with Inflammatory bowel disease e.g., Crohn’s disease and colitis. The causes of SIBO are many and complex such as: low stomach acid, pancreatic enzyme insufficiency, multiple courses of antibiotics disrupting the small intestine microbiome, decreased gut motility and chronic constipation causing the bacteria to migrate from the colon into the small bowel. Besides the telltale signs and symptoms found on a good history, the gold standard lab test for SIBO is a Challenge Breath Test. This test can be ordered by a doctor knowledgeable in its use and interpretation. Once diagnosed proper treatment must commenced if one is to find real healing. Part of the treatment involves specific dietary changes and antimicrobial herbs to remove the overgrowth of SI bacteria. Have You Heard About ‘Leaky Gut’? Some of the bacteria found in SIBO can produce toxins that irritate and can even damage the lining of the small intestine causing you multiple G.I. symptoms. Also, these toxins can damage the intestinal cells and the “glue” that holds them together leading to what is called “Leaky Gut”. With this, toxins, microbes, undigested food proteins, can escape from your small intestines into the bloodstream. This leaking through of undigested foods proteins, that your immune system then reacts to, is a primary cause of food allergy reactions. The list of symptoms caused by food allergies and food sensitivities is endless. 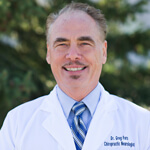 Call my staff today at 763-862-7100 to schedule your free consultation with me, Dr. Greg Fors at the Pain and Brain Healing Center in Blaine.